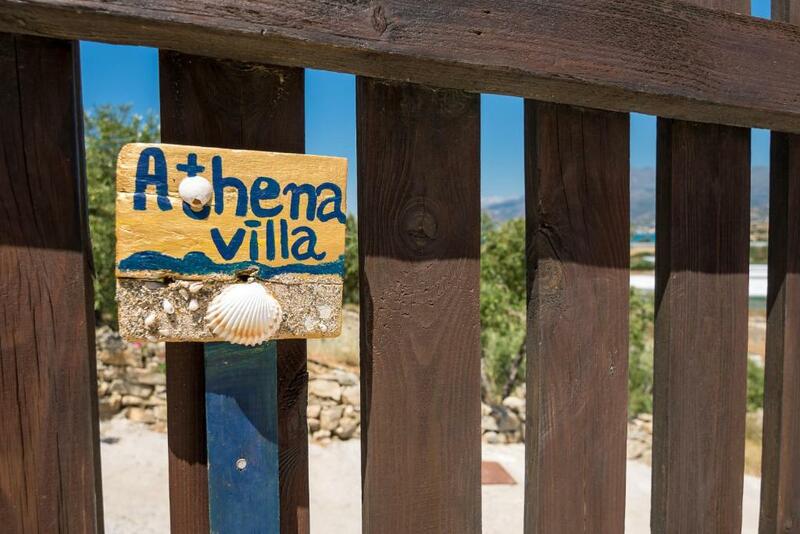 Lock in a great price for Athena Villas – rated 8.8 by recent guests! 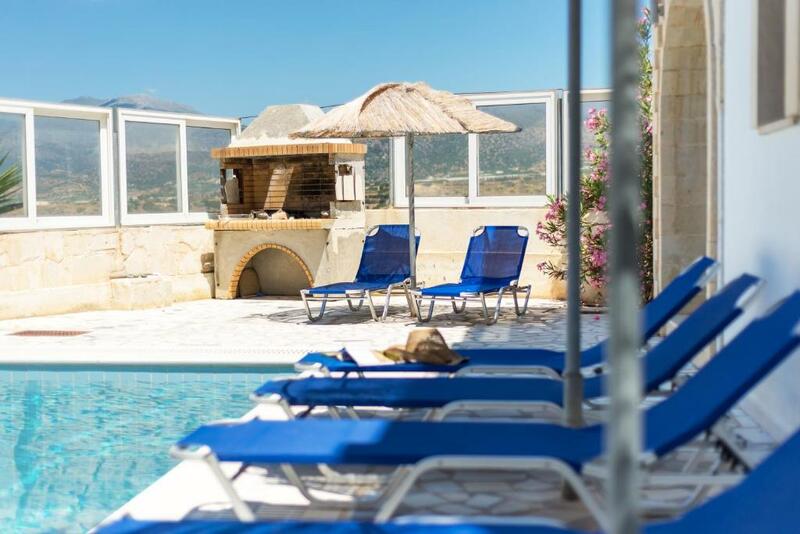 Within 1,300 feet from the beach, Athena Villas offers fully equipped accommodations with a private pool and views over the Libyan Sea. The village of Makry Gialos is 1.2 mi away. 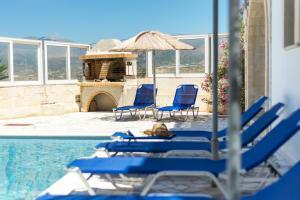 Villa Athena is spacious and traditionally furnished opening out to sea-view balconies and patios. 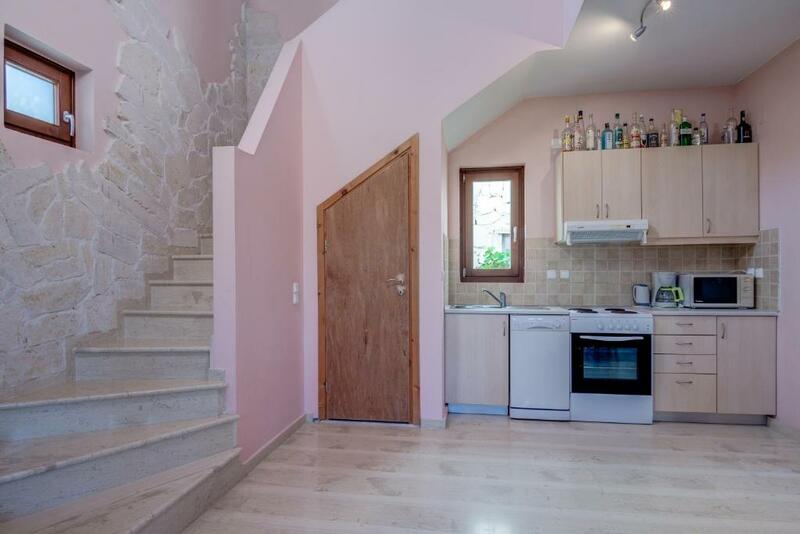 It includes a kitchen with dining area, adjacent living room with fireplace and 3 bedrooms. 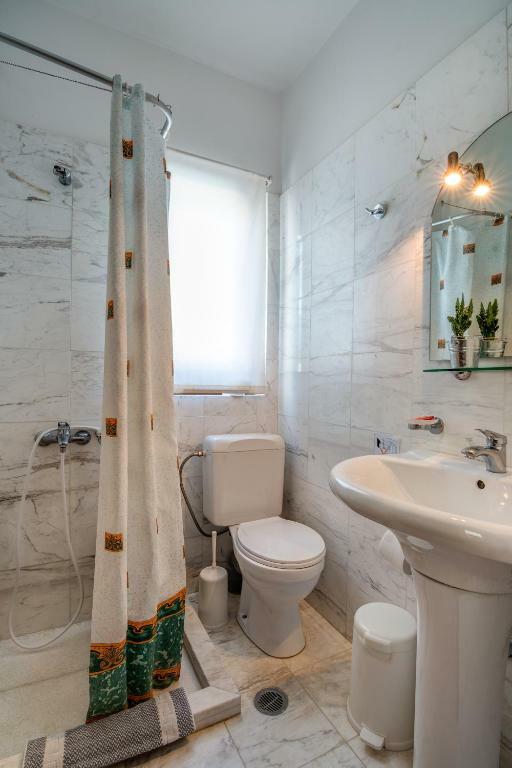 It is equipped with a satellite TV, DVD player and washing machine. A USB stick for internet access is provided free of charge. In the village of Makry Gialos you will find traditional Cretan taverns, cafes and shops. The airport of Siteia is 22 mi away, while Heraklion City is at 75 mi. Free parking can be found near the premises. When would you like to stay at Athena Villas? Featuring a private pool, this sea-view villa includes a fully equipped kitchen with dining area, living room with fireplace, DVD player and washing machine. House Rules Athena Villas takes special requests – add in the next step! Please note that a 30% deposit must be payed via bank transfer. After the booking is made, Athena Villas will contact guests for transfer details. Finding the villa was a nightmare - we followed the directions from booking.com. After one hour of trying to find it ourselves we tried to ring the host - no answer from 4 different phone numbers for 2hrs. Stopped at a local business who said she had been asked where this villa was many times but she did not know where it was. Phoned booking customer service and the host answered them straight away! The host told us where the villa actually was and told us she would be there in 10 minutes. 1hr later she arrived at the villa - when we told her of our problems she said she knew the directions were wrong on booking but did not know how to change them - she could have mentioned this when I phoned her 3 days earlier to ask about key collection. 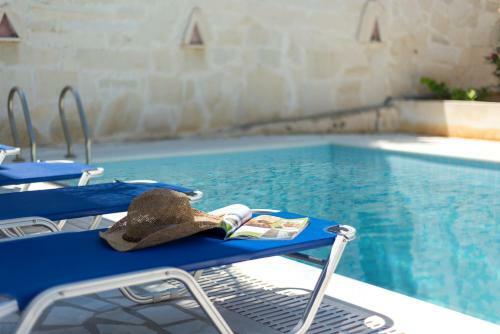 The villa is great, comfortable, pool is great and a short walk to the beach.